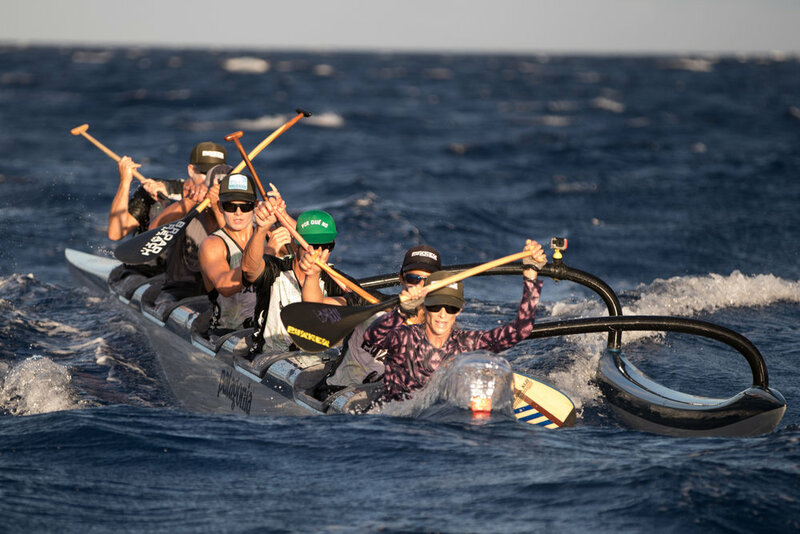 The Puakea Unlimited (Malolo) is a slightly modified design of the Makika, the canoe that was built specifically for the 2013 Olamau Race in Kona. 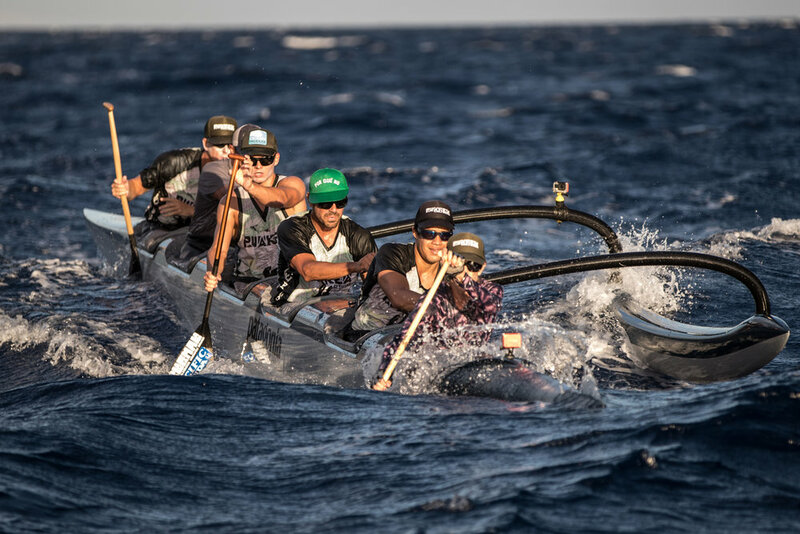 To accommodate the various waters in this Big Island race, the Makika was built to handle well in the rough water yet also perform great in the flat. Happily, this prototype was Shell Vaa’s canoe of choice for Olamau, and they won in it on all three legs of the race. The crew was truly stoked with how it handled and performed in the varying conditions they encountered. This endorsement was very rewarding and professionally validating, coming from a team with such success, professionalism and knowledge of good boat design. Similarly, the Puakea Unlimited is built for speed and ease of use. Countless hours were spent making this canoe as comfortable as possible, and allowing for the most efficient paddling from any seat. Unlike other unlimited canoes, the Malolo features a sleek, comfortably narrow hull at only 18 1/4″ in at the widest point of the waterline and only 16 1/2″ inches at the widest seat in the middle. This OC6 is built from Ozone’s unique one-piece construction to create a very light yet strong hull. With its streamlined design and weight of about 145 lbs, the Malolo accelerates quickly to top speed, and it requires much less effort to the catch bumps and maintain the momentum. The fact that it is so lightweight also makes for much easier to transport. The Malolo is an excellent all-conditions canoe. Length: 44 ft. 1 in. Waterline Length: 39 ft. 6 in. Includes: Hull, ama, iako, footbraces, spray skirts, 2 electric bilge pumps, rechargeable battery packs and paddle holders.